The Charleston Mattress® thinks you should have the option to buy the best built, locally made mattress every single day. You can shop with confidence knowing that we'll never artificially inflate a price of a mattress, then offer it at a fake sale price. Our everyday low prices are clearly listed on this website, and will be the same prices you find in the store. Combining 300+ years of experience in the factory with old-fashioned hard work allows us to offer a better bed at a lower price. Visit our store in friendly Park Circle and try before you buy. You'll notice the difference the moment you walk through the door. 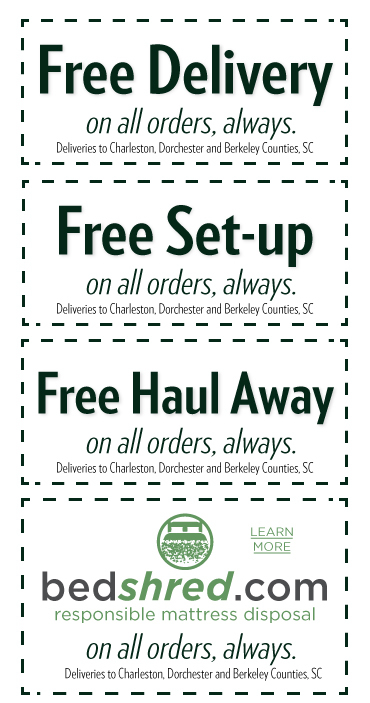 Free delivery, set-up and haul away to Charleston, Berkeley and Dorchester County. 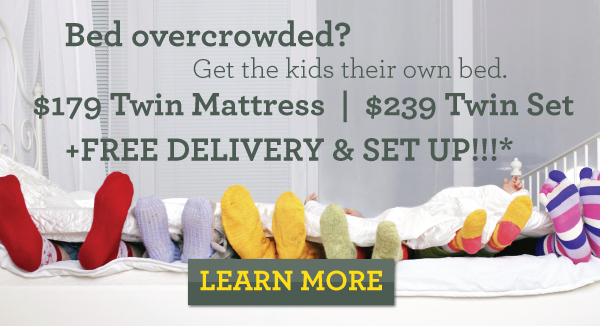 There are NO HIDDEN DELIVERY FEES whatsoever (ie, stairs, elevators, parking at a distance, etc.). 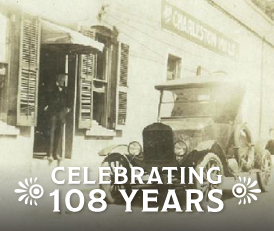 We've been doing this 100+ years in Charleston and know it's easier for everyone involved to let our professionals handle the heavy lifting! Delivery is free with no minimum purchase.